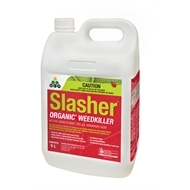 Slasher Organic Weedkiller kills a broad range of weeds as well as moss, algae and lichen. It is non-selective and works on contact to rapidly desiccate and burn weeds. 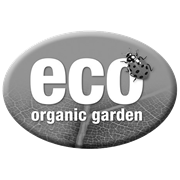 Use anywhere around the house including garden beds, veggie patches, paths and driveways. 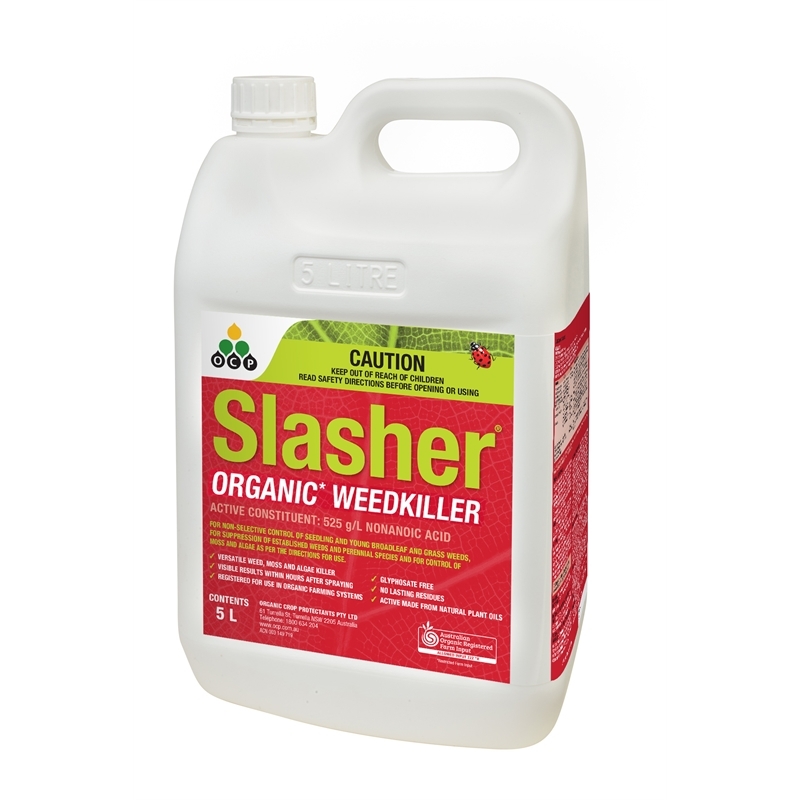 Slasher Weedkiller is made from natural plant oils and breaks down in the soil within 3 days. Slasher Weedkiller is approved for use in organic farms and gardens and can be used without worrying about harm to the soil or environment.